Coach Hardesty is a 2003 graduate of Pendleton Heights High School where he played baseball under Hall of Fame Coach Bill Stoudt. He went on to play baseball at Indiana Wesleyan University and earned a Bachelors in Elementary Education. After graduating in 2007 he was hired by the Greenfield-Central CSC where he taught 3rd, 4th, 5th and 6th grades over 6 school years, and he served as the Pitching Coach under Head Coach Travis Keesling for the G-CHS Baseball Team. Hardesty followed Keesling to Pendleton Heights for one season before getting hired as the Head Coach at Knightstown High School in the summer of 2013. 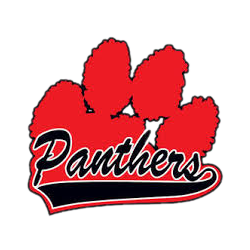 In his four seasons as head coach of the Panthers, Hardesty has an 85-30 record, 3 Mid Hoosier Conference championships, 3 Henry County Championships, 3 Sectional Titles, and 2 Regional Titles. Coach Hardesty teaches Algebra 2 at KHS, and he resides in Pendleton with his wife, Morgan, and son, Bridger.